Jodie Whittaker has landed as the 13th Doctor and it was worth the wait! Doctor Who is back, and not a moment too soon! However, Jodie Whittaker’s first episode as the Time Lord isn’t exactly what Who fans might expect. Other than the new Doctor, the first thing that many Who fans will notice is the completely redesigned TARDIS. Although the outside remains the classic 1960s Police Box, the traditionally otherworldly interior of the Doctor’s TARDIS now closely resembles the fictional town of Broadchurch. With Chris Chibnall now at the helm, it seems that he wanted to incorporate elements of his hit ITV drama into Doctor Who. However, the inclusion of a close-knit community of West-Country townspeople in the TARDIS feels unnecessary. That isn’t the only big change introduced alongside Whittaker’s 13th Doctor either as the episode features a vocal cover of the theme tune written by the show’s new composer Taylor Swift. While many were sceptical when Swift was announced as the replacement for long-time composer Murray Gold, ‘Look What You Made Me Who’ is an excellent re-imagining of Ron Grainer’s original theme from 1963. Another bold move was the decision to bring back Peter Kay as the Abzorbaloff, but it proved to be an absolute masterstroke by Chibnall. Fans have been begging for Kay’s lovable creature to return to our screens since he made his debut in ‘Love and Monsters’ back in 2006, but outside of a brief reference to his homeworld Clom in 2008’s ‘The Stolen Earth’, the Abzorbaloff has been sadly absent. However, now that he’s officially joined the TARDIS crew, we’ll be seeing a lot more of Kay alongside the 13th Doctor. It’s a shame that he absorbed Bradley Walsh so early on though. However, the most shocking aspect of the episode was the appearance made by Chris Chibnall himself. Cutting away from the Doctor for over 30 minutes, the new lead writer of Who appeared aboard the TARDIS and explained how every episode written by Steven Moffat was no longer canon. 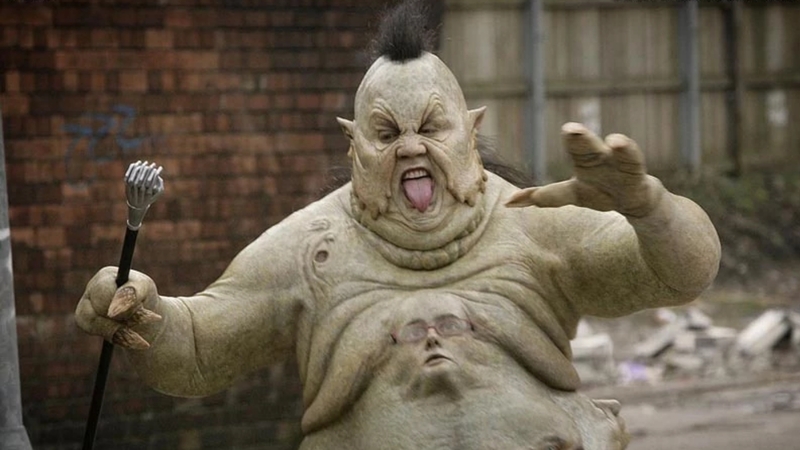 While Moffat did much the same to his predecessor with Series 5’s infamous cracks, Chibnall’s loud interjection to remind the audience that “CLARA SUCKED” may have been a step too far. Overall, Jodie Whittaker’s debut episode aboard the TARDIS was fabulous. The Abzorbaloff’s return was an inspired move by the BBC, the new rendition of the Who theme was absolutely incredible and the controversial TARDIS redesign is certainly unique. I just hope Chibnall can maintain the hype! April Fools! Doctor Who returns with Jodie Whitaker in late 2018. Love Dr. Who. Have seen all of the Doctors. The new Dr. Who offers more than Peter Cappaldi version. The writing is poor at best. Take the show in a new direction but make it entertaining. Disappointing first 3 episodes. Where are Chris Eccleston, Dave Tennnant Matt Smith when you need them??? Jodie has promise if the writing picks up the pace.